F. Thorn 15 May 2015 Mobile Phones, Windows 10 for Phones, Windows Phone Be the first to give your opinion! A new update for Windows Phone 10 users is available. It is advisable to set Cortana to its default settings. In some hours, more details! F. Thorn 22 April 2015 Windows 10 for Phones, Windows Phone Be the first to give your opinion! Microsoft has released an update to their Windows Phone Reset Tool that intends to allow some phones to recover from the red Nokia logo screen (or a blank screen and nothing else in some models). Microsoft has announced a new Windows 10 Technical Preview version build 10052 and some bug fixes as well as a workaround for the bricked Lumia 520 phones. F. Thorn 21 April 2015 Windows 10 for Phones, Windows Phone Be the first to give your opinion! 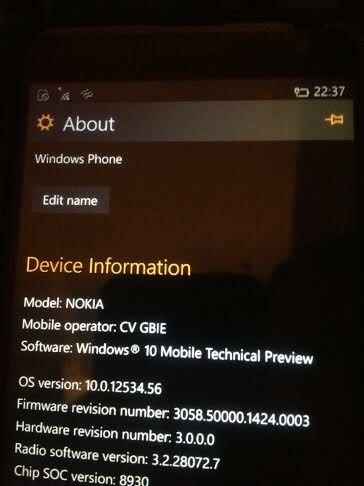 Last week Microsoft made Windows 10 Technical Preview for phones build 10051 unavailable for Lumia 520, Lumia 525 and Lumia 526 due to a problem that made the phone unusable after reverting back to Windows Phone 8.1 The users reported that their phones were bricked after trying to use the recovery tool to go back. Microsoft is aware of this and they are working on a fix for that and some other well known problems. After following the instructions shown below, if the reset works, you will have Windows 10 Technical Preview running! (and not back to 8.1!). 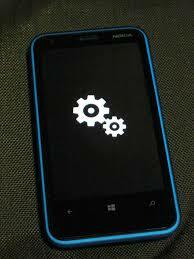 There’s a confusion around about using the recovery tool and resetting from the menu. No SIM card detected after Windows 10 technical preview? We have installed and checked that after installing Windows 10 technical preview for phones on the Lumia 625, Lumia 820, Lumia 920 and Lumia 925 the SIM card stopped being detected. Some models detect the SIM card at the beginning but some others just don’t detect it at all. 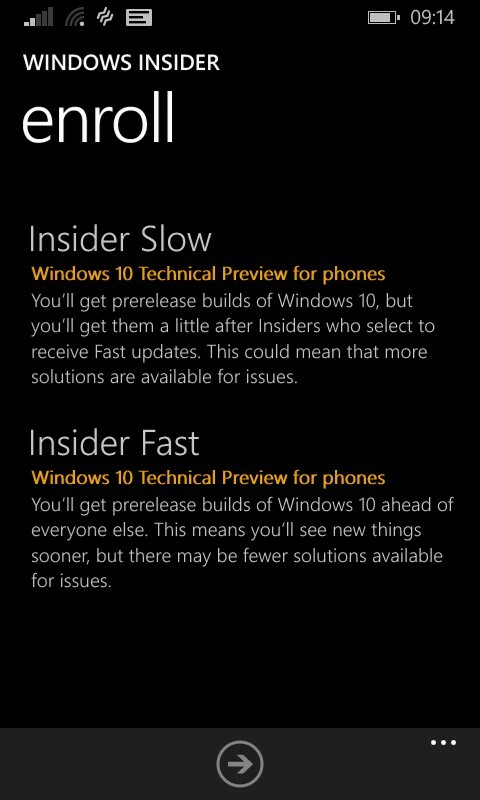 Windows 10 technical preview for phones: Insider Slow or Insider Fast? You have decided already to join the insider programme even despite knowing things such as: “if you share internet through tethering and you turn off the phone then WiFi might stop working” (according to the warnings given by Microsoft). On top of that and, just in case you haven’t read the warnings from the website, you get a warning asking you yet again whether you would like to get the updates even faster shortly after they are created or just slightly slower after someone already had issues with them. A question might just suddenly appear: is there an extra risk? or what is advisable? 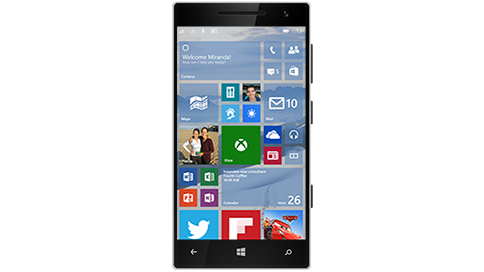 Windows 10 technical preview for phones build 10051 now available! After several updates and as we announced earlier this week. 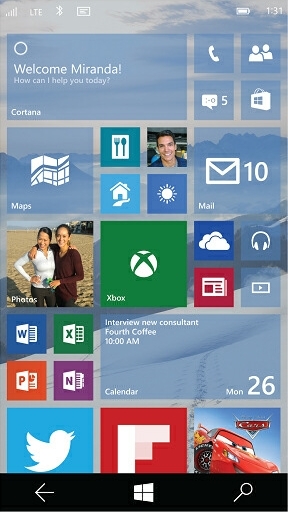 Windows 10 technical preview for phones is now available. It has been announced that a new build of Windows 10 for Phones (or Windows 10 mobile) will be available for different Lumia models except Lumia Icon and Lumia 930 which due to a bug won't be able to install Windows 10 for this build. This Friday, 27th March 2015, Gabe Aul has announced on their Windows blog that they are working on a new version of Windows 10 for their programme Windows Insiders.